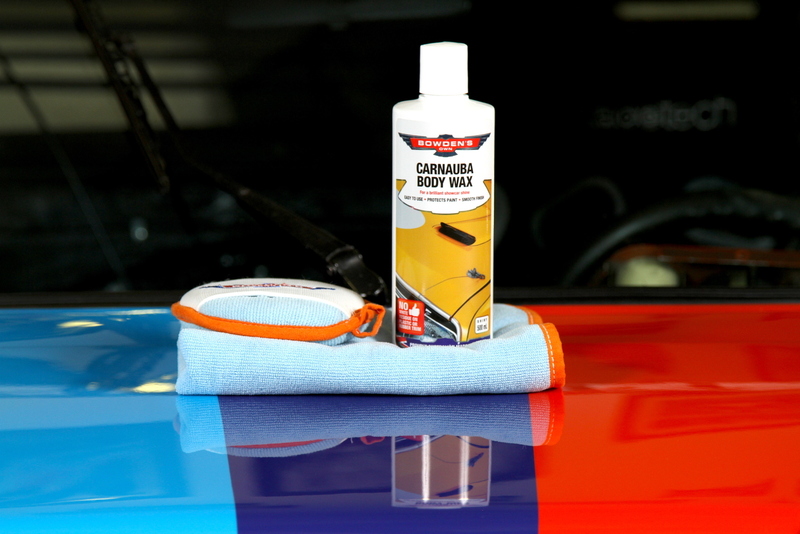 Wax Pack - Everything you need to apply a beautiful layer of high grade carnauba wax. 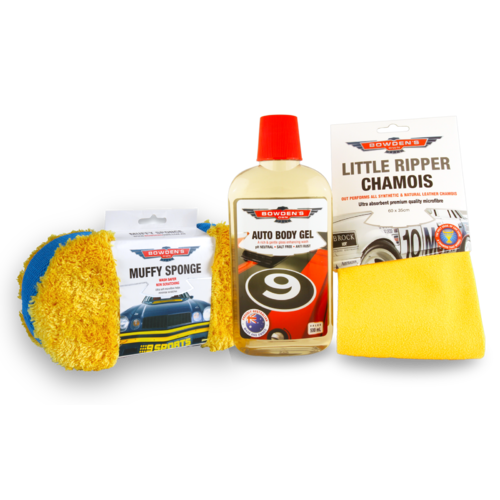 Give your paint some life, our wax pack is here to nourish, protect and bring out that beautiful, deep carnauba wax shine to your paint. Custom blended boutique wax for those who want an easy to use product, that delivers a stunning show car shine. The applicator pad to make applying a breeze. 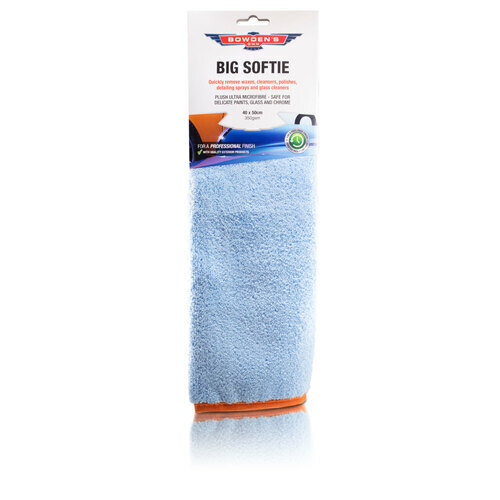 The perfect microfibre cloth to deliver the best possible finish. You save nearly $7 off the RRP when purchasing this pack. 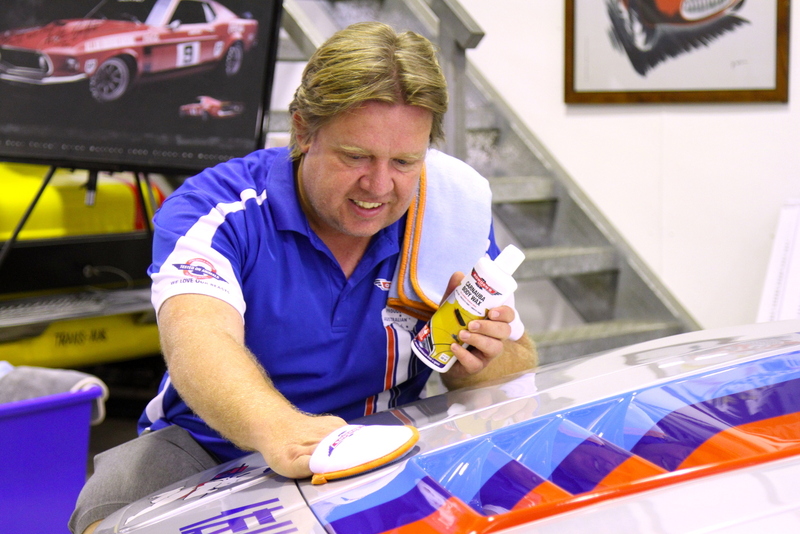 You also get our famous race car lollies, a print out of our Microfibre Field Guide and Flow Chart. Will never use any other product. I have used your Products scince the first time you had them at the Brisbane Motor show......my car still looks like the first day I bought it....will never use any other product ever....thank you to the Bowden famliy for the vision in creating these great products. Steve B. - Brisbane, Qld. Customers always ask me about what I use, neither of our vintage limo's has been washed with water for about 5 years now, I just use the detailer before each job and polish with the Auto Body Cleanser and Wax twice a year. Great Australian products. - www.svlimos.net - Sunshine Coast, Qld. Love that Auto Body Wax..... The kids think I am waxing the car with bubble gum! - Graeme S - Townsville, Qld. Best wax on the market - Leigh H. - Melbourne VIC. I have a cupboard full of other brands of car care products, including some supposedly ?premium? German, US and UK brands.Most of these purchased online. Purchased after reading the hype and BS?.even in forums!! Yes, like many others, I fell for this foreign BS.As a trial, I purchased some Bowdens Auto Body Wax from Supercheap and after waxing my cars (one black Volvo, the other a white Alfa), I will be filling my cupboard with Bowdens products, once the other brands have been used up?that?s if I don?t throw some of them away.The Auto Body Wax is so easily applied and removed (although it took me two microfibres to buff?.i think I didn?t allow enough time to dry and the air was a bit humid), and no mess. The result is at least comparable to that of any other product (Canauba) I have used!! Durability is not really an issue for me as I detail regularly?.it?s therapeutic.And, even better, is that little sticker on the bottle that says ?Australian made??? ?.considering that most of what we purchase here, now, is made overseas (and often poor quality?clothes, etc etc)?..I almost cried!! Thank you Bowden's. - David H. - Sydney, NSW.